Charleston, S.C., February 7, 2017 – PhishLabs, the leading provider of 24/7 phishing defense and intelligence solutions, today released its 2017 Phishing Trends & Intelligence Report. Researched and authored by PhishLabs R.A.I.D. (Research, Analysis, and Intelligence Division), the report exposes significant changes in the fundamental dynamics and undercurrent of today’s phishing landscape that will impact organizations in profound ways for years to come. While the volume of attacks targeting financial institutions continues to grow, the volume of attacks targeting sites with massive user bases, such as cloud storage providers, has exploded. Phishers are targeting these sites in order to mass harvest email address/password pairs. Due to the widespread reliance on email addresses instead of unique usernames and the frequency in which passwords are reused, a high percentage of these stolen credentials provide access to multiple accounts in addition to the account being directly phished; increasing the potential yield of a single attack exponentially. It also means that organizations using email addresses as usernames can reasonably assume that a significant portion of their users’ credentials have been compromised via phishing attacks that are not targeting them directly. PhishLabs R.A.I.D. identified phishing sites residing on more than 170,000 unique domains, a 23% increase. The information and analysis contained in the PhishLabs 2017 Phishing Trends and Intelligence Report is sourced from the company’s 24/7 operations and technologies used to fight back against phishing attacks. In 2016, PhishLabs analyzed nearly one million confirmed malicious phishing sites and mitigated more than 7,800 phishing attacks per month, investigating their underlying infrastructure and shutting them down. The company also analyzed thousands of unique malware samples from more than 100 ransomware variants and more than 20 banking Trojan families. The report’s primary authors, Opacki, and Senior Security Threat Researcher Crane Hassold, will meet attendees, analysts and media at RSA Conference 2017, Feb. 13-16, in San Francisco. Both Opacki and Hassold are both former FBI subject-matter experts, and will present the report’s key findings in a live discussion. Space is limited and registration is required. https://info.phishlabs.com/2017-vip-experience-rsvp-0. PhishLabs will host a webinar detailing the report’s key findings on February 28, 2017. During this webinar, Senior Security Threat Researcher, Crane Hassold, will go into detail about widespread login practices that have left most industries and consumers vulnerable to phishing attacks, causing a fundamental shift in modern cybercrime. To attend, register at https://info.phishlabs.com/phishing-trends-and-intelligence-pti-report-webinar. Founded in 2008 and headquartered in Charleston, South Carolina, USA, PhishLabs provides 24/7 cybersecurity and threat intelligence services that help organizations fight back against attacks targeting their employees and customers. PhishLabs is trusted by four of the top five U.S. financial institutions, seven of the top 25 global financial institutions, leading social media and career sites, and top healthcare, retail, insurance and technology companies. 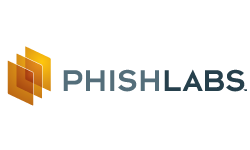 In addition to mitigating more than 6,000 phishing attacks per month, PhishLabs clients benefit from real-world actionable intelligence, analysis, and guidance from the PhishLabs R.A.I.D. research division, which is comprised of some of the world’s most respected malware researchers, reverse engineers, and threat analysts focused on monitoring global attack trends, dissecting cyber tradecraft, and tracking cybercrime. For more information, visit https://www.phishlabs.com and follow @phishlabs.